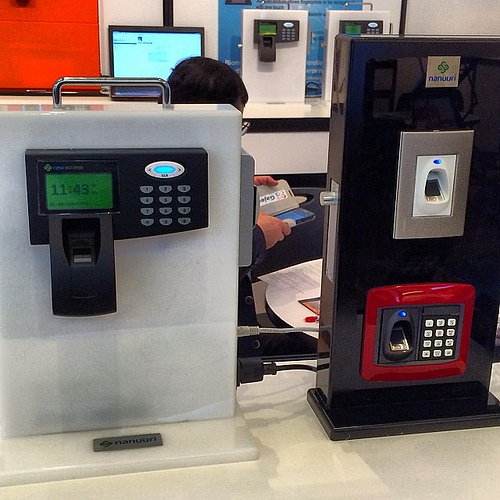 The access control industry is a very promising one, especially value added resellers. This is mainly attributed to the fact that most consumers need it at one point or another to access designated areas. Whether you are investing in biometric scanners, traditional locks, perimeter access control or even video surveillance, access control is essential for taking physical security to the next level. The industry is a trendy blend of the old and the new. New access control trends hitting the market are becoming a favorite among homeowners, while old ones like offline locks and mechanical access controls are still making record sales. Being an industry that is evolving fast, keeping up with it and knowing how to navigate it may present a few challenges. In this write, we look at some of the top trends to watch out for. The days when wireless technology was purely used for mobile devices are long gone. It is increasingly used in the security industry today for several reasons. One, they provide flexibility to both consumers and VAR’s during installation, and this helps them save on time and money. Secondly, the use of wireless devices in access control allows consumers to easily modify the security system if need be, without worrying about business disruption. They are particularly suitable for buildings where cable runs are challenging. This includes historical and concrete buildings. They are also suitable for facilities where visual appeal is a top priority for business owners like high-end restaurants and hotels, as well as office buildings. Keep in mind that these are a good option even for small customers whose facilities may or may not undergo expansion in the coming years. The increased demand among customers for physical security that delivers on accessibility has motivated manufacturers to develop access control with mobile capabilities. The fact that people are always with their smartphones helps popularize this trend. The mobile credentials are used to control access. In order to read these credentials, manufacturers are now coming up with Bluetooth enable access control readers, which interact with user’s phone transforming it to an access control. This technology is not for everyone due to varied reasons, among them being that people often lose their phones. However, the increased use of mobile features such as Apple Pay is a clear indication that phones aren’t just phones anymore. They are a bigger role in day-to-day life and for some this includes access control. Bluetooth-enabled access control readers have become a favorite tech among consumers for two reasons. One, they save the time needed to gain access and two, they offer additional convenience for users. Unfortunately, this may not be the best solution for facilities that need high levels of security. Consideration for more sophisticated security alternatives like biometric scanners or additional authentication process should be made. For years, the only types of biometric access control customers have been used to, are fingerprint scanners. This trend has changed, or rather is changing, as more sophisticated scanners are entering the market. These include vascular, facial and iris pattern. This security trend offers biometric options for all types of customers ranging from small gym centers to high-end office buildings. Biometric scanners offers two main advantages to customers. These are faster access due to quick authentication and high level of security for their premises. As this technology continues to grow more popular, it is fair to say that more and more customers will express interest in it. Gone are the days when customers relied purely on mechanical access control. New IP and electronic access control systems are now offering more versatility in addition to the following advantages to customers: integration with other physical security systems like video surveillance, remote system access and user-specific, time and date privileges. This security option is futuristic in that users can easily modify and expand in case their needs change, without requiring a costly investment. Offline locks offer customers a more convenient solution to manage their security systems. These are not the only trends that will affect security in Montreal this year and the next. With the speed to which it is growing, more remains to be seen as VAR’s continue to flock the market.